Maddie Rice has been going solo for the past year with an acclaimed performance in Phoebe Waller-Bridge’s Fleabag but she has now shown she has a flair for writing too in her debut play Pickle Jar. 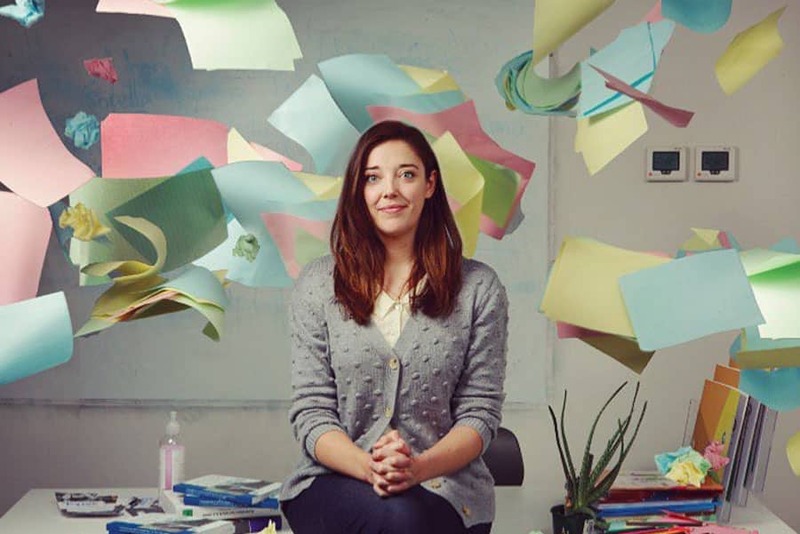 Performing the new solo show herself, Rice combines comedy and pathos in her portrayal of a young teacher, known only as Miss, who is trying to keep herself together as she juggles work, potential relationships and an intermittent social life. There are plenty of laughs thanks to Rice’s sharp writing and meticulous performance but, as she talks about school life and her friendships, we soon infer that her character is trying to confront some kind of hidden trauma involving a student. It’s a structure we may feel we’re familiar with from other solo shows but nothing quite prepares you for the details of the shocking, devastating revelation. Directed by Katie Pesskin, the play sensitively touches on serious issues such as mental health, grief and toxic masculinity but this is deftly integrated within the overall comic tone. Rice is adept at bringing to life other characters in the story, most notably hilarious Irish flatmate Mairead who provides a string of quirky similes, including the rather complex metaphor that gives the play its title. But Rice’s greatest achievement is creating such a believable, compelling character as “Miss” through her writing and performance, interlacing engaging humour with raw bottled-up rage.